for the Frank Bette Center for the Arts Silent Auction and Fundraiser at 1601 Paru St in Alameda. ​and fundraising for Arts in Alameda! 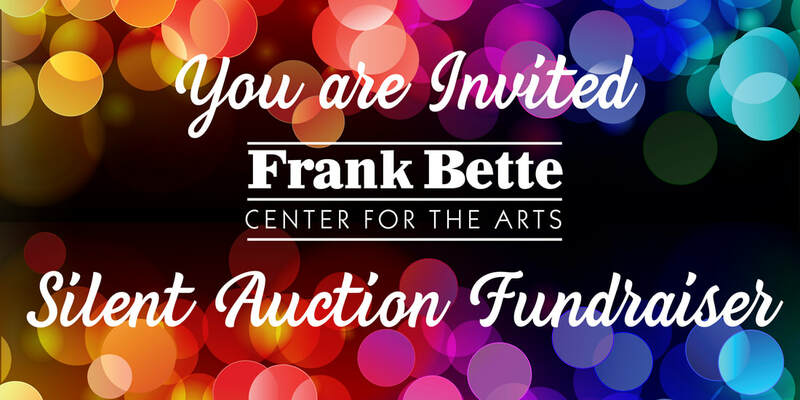 Great items to bid on including gift certificates to popular Alameda restaurants, wine and spirit tasting tours at Spirit Alley, salon and spa pamper experiences, adult and kids classes, fine art from local artists and much more! Wescafe, C'era Una Volta, Whisk bakery and more! Tickets will also be available at the center.